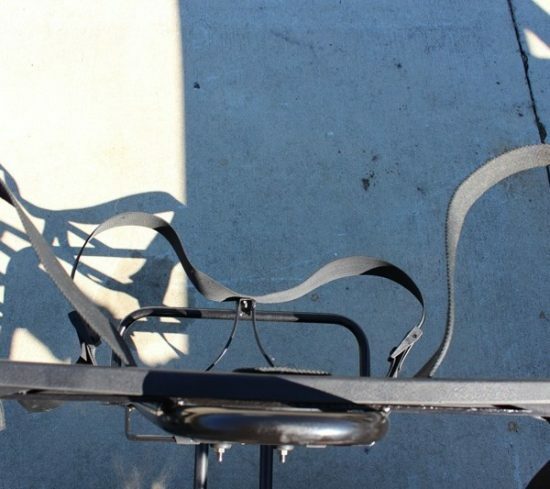 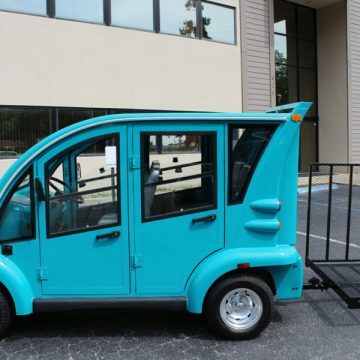 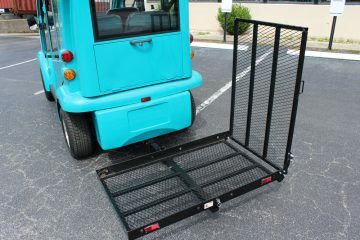 If you have a rear facing seat on your golf cart, usually that means you can’t go golfing – not any more! With this kit, you can now have four seats on your golf cart and also carry two golf bags! 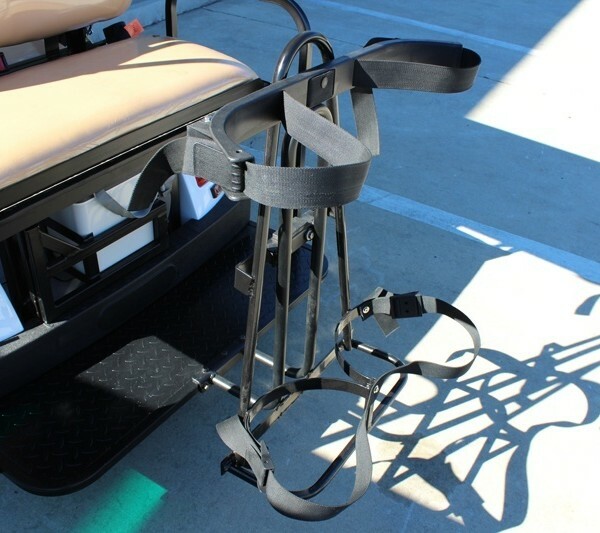 Watch the video below for a demonstration! 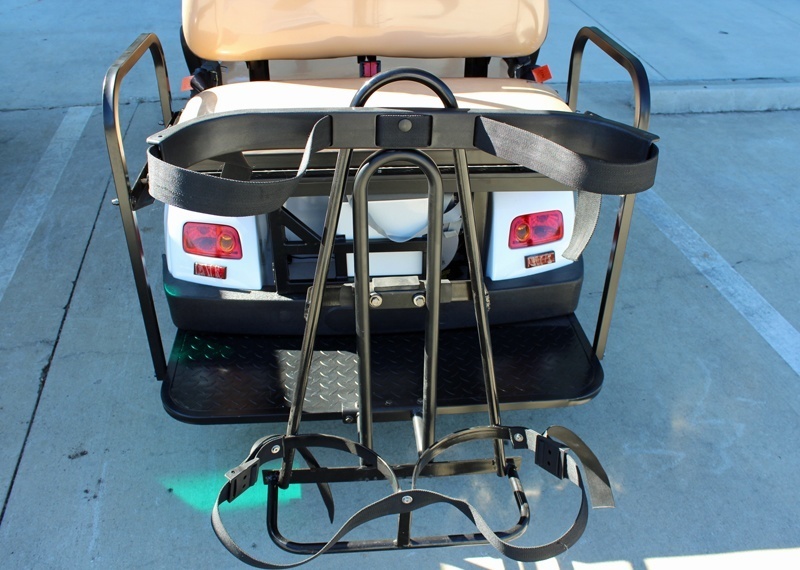 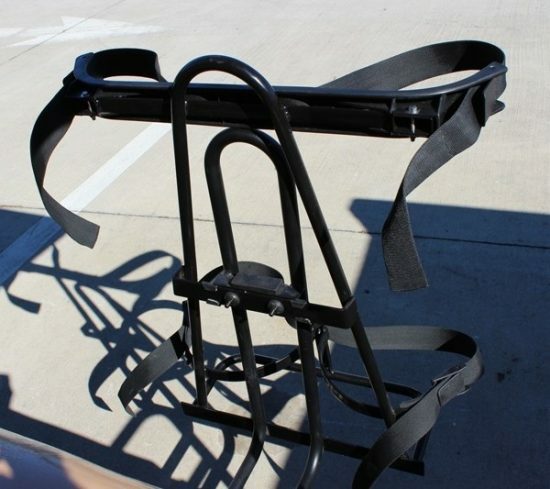 Allows you to carry two sets of clubs on your golf cart with a rear facing seat kit.